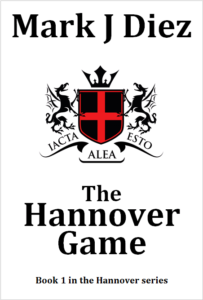 In the Hannover Game, the once retired Byford is again drawn back into service with Hannover, the secretive organisation he left several years earlier. The promise of a reward close to home proving impossible for the ageing operative to refuse. Meanwhile the Anti-Subversion and Terrorism Unit (ASTU) move into action to investigate a bold terrorist attack. Nelson and his protégé Melissa lead the investigation for ASTU, but what should be an exemplary investigation soon runs into difficulties and dangers. While ASTU hunt the perpetrators of the crime, the investigation and the attack becomes a game of opportunity for more than one side. 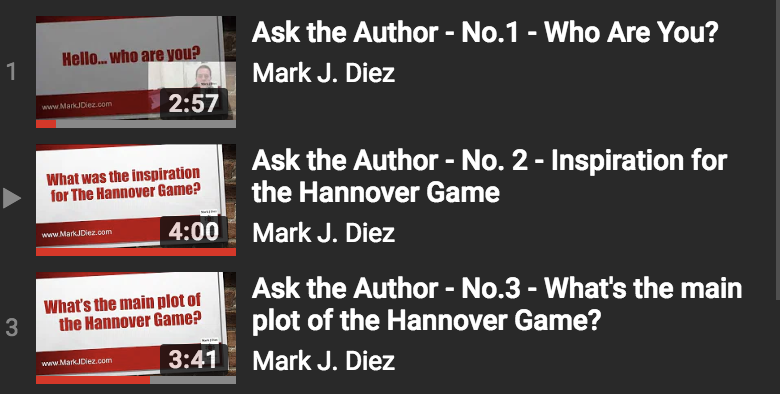 In the world of Hannover everything and everyone is connected, no one will leave the Hannover Game untouched. Frost led the extraction team and their two guests further into the tunnels hewn into the sandstone base rock under the desert above. Sand crunched under foot and a fine dust hung in the parched air, disturbed by the determined feet of the escapees. “Keep moving!” Broer ordered, casting a glance back to the doctor and his wife who had started to slow down under the punishing pace they’d kept since entering the tunnels in Gaza. Frost reached a junction and consulted a map once more. “To the right,” he announced without stopping and headed on. The woman gave a gasp as if surprised by the change of direction, but flanked by two operatives to their front and rear, she and her husband marched forward. Another ten minutes passed, with changes in direction and the relentless pace maintained. Frost paused once more and, from behind the rear operatives, Broer let his frustration be known. “Frost, this isn’t the tunnel, you idiot! We should have been at the extraction point already!” Broer cursed. “I see light, we must be there,” Frost replied. “Get out of my way, ya fokken domkop!” Broer yelled in his native South African accent, pushing through and to the front of the group. 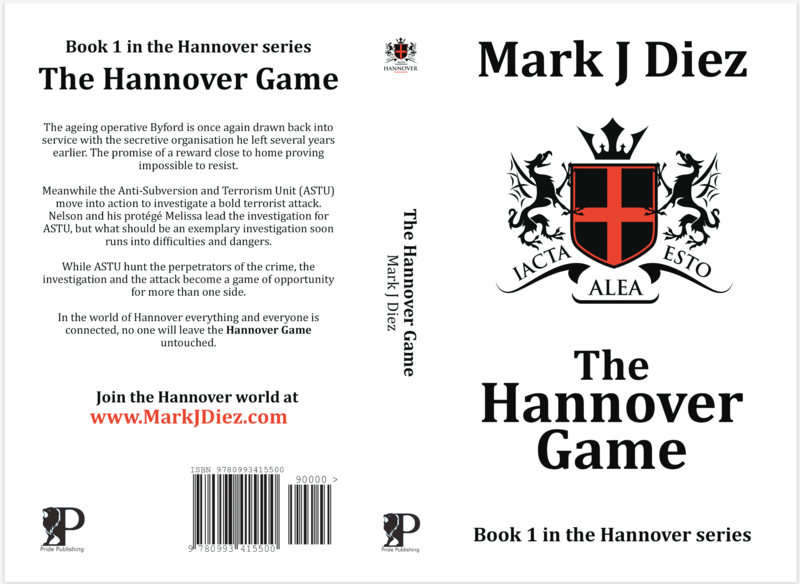 He headed forward, rifle aimed ahead to meet any response head on. Near the end of the tunnel, he saw that it rose up to surface level, and through the opening he saw dusk was beginning to arrive. Laying on his front he crawled forward and saw they were not where they should be. At a distance of around 300 feet away he saw the Egyptian border fence. This tunnel must have come out under it at one point. But instead of finding all the tunnels, the Egyptians had just moved it backwards. Problem solved: let the Israelis deal with the smugglers. “Broer! Stand down!” Byford shouted from behind the group. As the most senior operative, Byford took ultimate responsibility for the success or failure of the mission. However, as this one was being used to train up Frost and Broer, they’d been leading it. “Get a grip, assess the situation,” Byford added. Broer spat on the floor and headed back to the opening. They had to move fast to avoid being caught in the darkness that was drawing in. Through his rifle sight he saw that the nearest observation post looked to be over 600 feet away along the fence. He waited, but heard and saw nothing else. There were no lights or sophisticated detection systems to be seen, no noises from people or vehicles. Crawling further out he saw a small trench under the fence ahead. It would need a quick dash for all seven operatives, along with the doctor and his wife. He played the scenario through in his mind. He’d go first with two front operatives to secure the fence. Then the doctor and his wife, under and out to freedom. The last two operatives and the old man, Byford, could follow. “Oh, you’re finally in!” Nelson said as he rushed past Melissa. Arriving at 9.30am wasn’t late, normally, but in the middle of an investigation it was practically the middle of the day. “Sorry,” was all she managed before he was out of earshot. Melissa would have been in earlier, but last night’s wine was both welcome and stupid at the same time. He turned around to face her. “Get into the war room!” he shouted and continued on his way. Melissa hesitated for a second, trying to decide if a strong coffee or doing as told was the priority. The coffee won out. When she arrived to the morning meeting, virtually the whole team was there. Nelson greeted her with a look of mild disgust. Nelson turned and tapped a photo of Frost that was hanging on the wall with other clues, pictures and notes. The photo was just of his face, his eyes closed and his black skin looking dull and flat. He pinned more photos on the wall, prompting murmurings and noises of disgust from the team. An officer raised his hand. Nelson put his hands on his hips and let out a sigh. This news caused even more of a stir than seeing the bloody mess that was Frost.